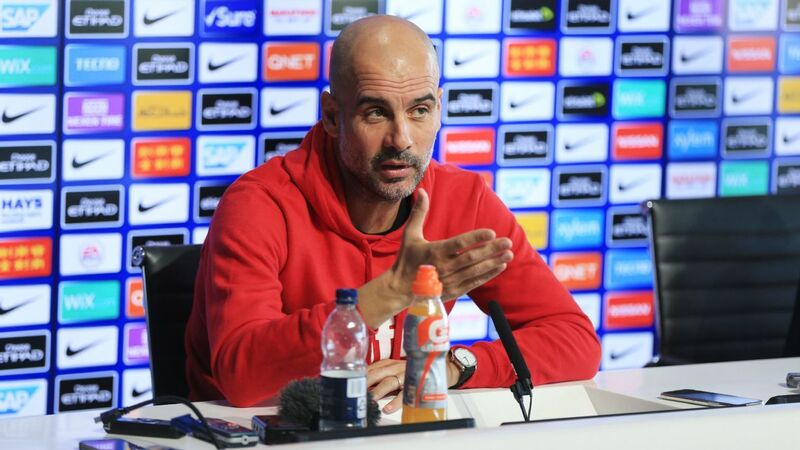 LIVERPOOL, England -- Pep Guardiola has told his Manchester City players to forget about winning the Premier League title against Manchester United and focus on the Champions League. 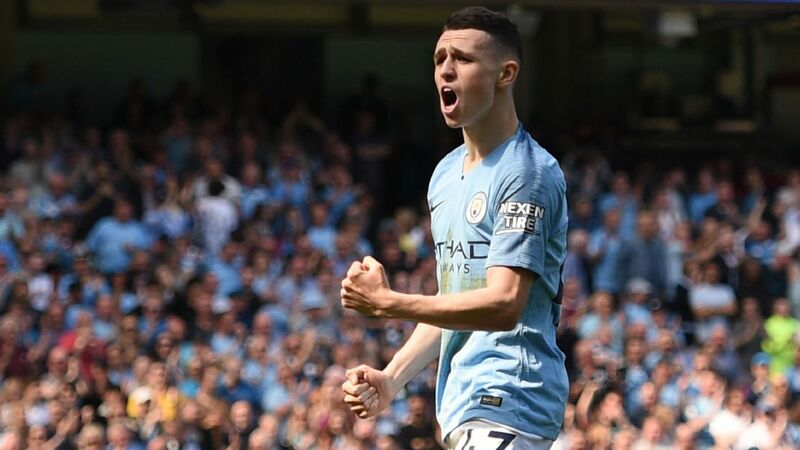 In their first game after a three-week break because of FA Cup matches and the international break, City moved to within one victory of a first title in four years after a comfortable 3-1 victory over Everton at Goodison Park. While it sets up a dream scenario for fans of clinching the title against bitter rivals United in a Manchester derby next Saturday, Guardiola is focused on the crucial quarterfinal first leg away to Liverpool three days beforehand. 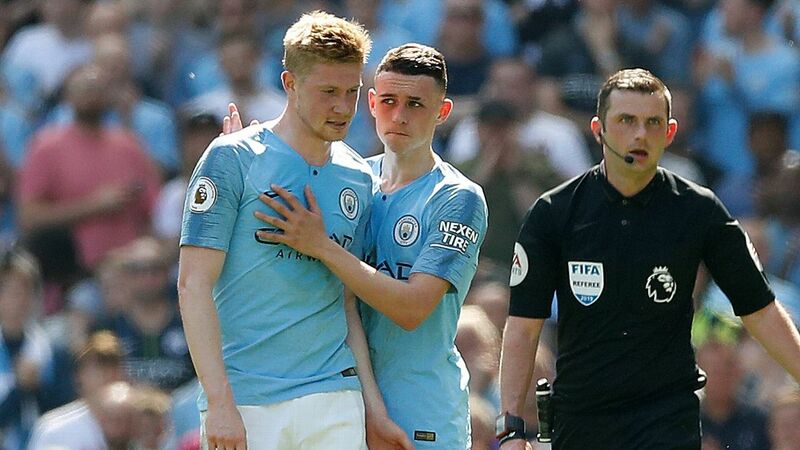 "We were a long time without being together, and after three weeks I didn't want to play with maybe seven, eight or nine players who are going to play on Wednesday to have gone four weeks without playing together," Guardiola told a news conference. 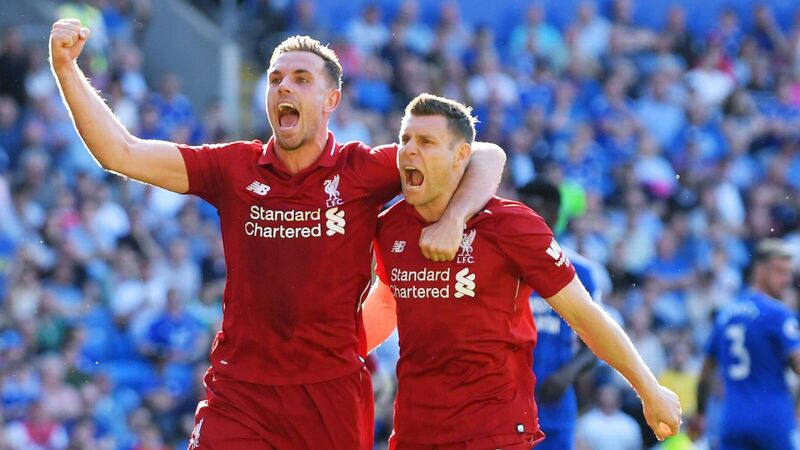 "So that's why we needed to be together to find the pace, to find our rhythm, the way we want to play, for our massive, massive two games against Liverpool. 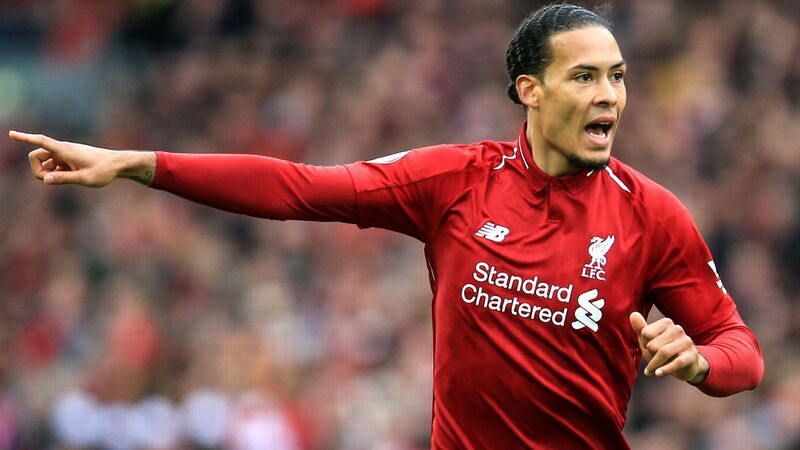 "I understand the people are talking about United now but all the decisions I am going to take is thinking about Liverpool, the game before United and after United, so that is what it is." Manchester City are one win from the Premier League title. 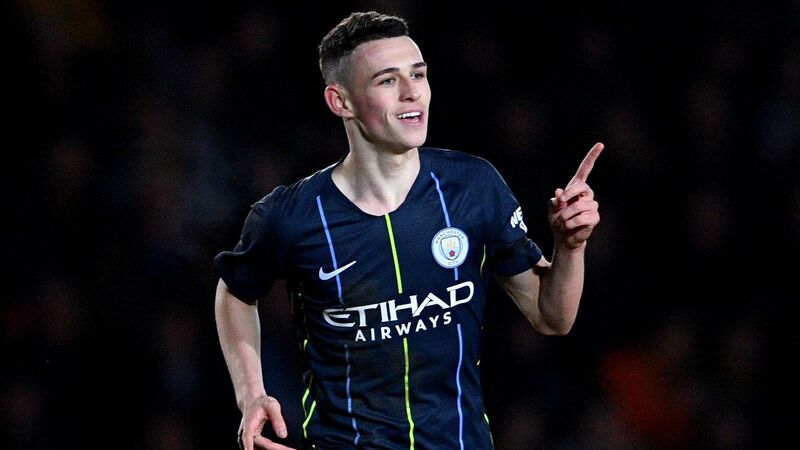 City maintained their 16-point lead at the top of the Premier League with an easy victory over Everton after first-half goals from Leroy Sane, Gabriel Jesus and Raheem Sterling. 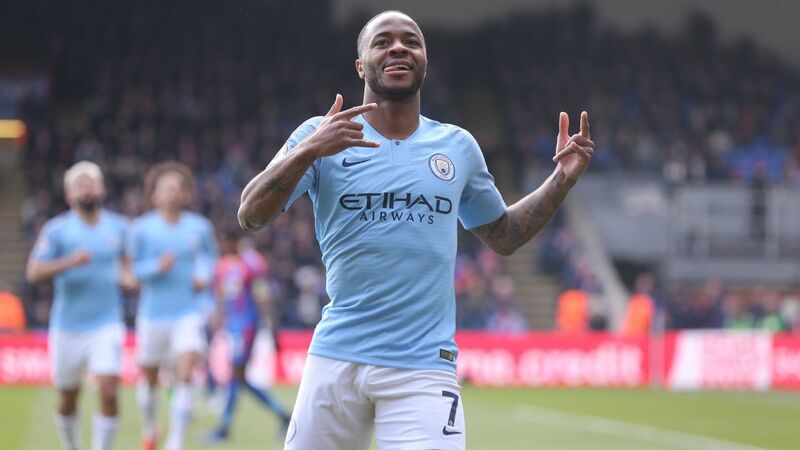 They eased up slightly in the second half with Guardiola taking off Kevin De Bruyne and Raheem Sterling to give them a rest with Liverpool in mind. "Now we are closer than ever, we have one game to win and if we are not able to win, then we have six more chances," Guardiola added. "I'm so happy with the performance today after three weeks without a game. You never know how we will react after not being together for a long time. But the first half was so good, even the second half was good too." Everton manager Sam Allardyce admitted City simply had too much quality for his side. 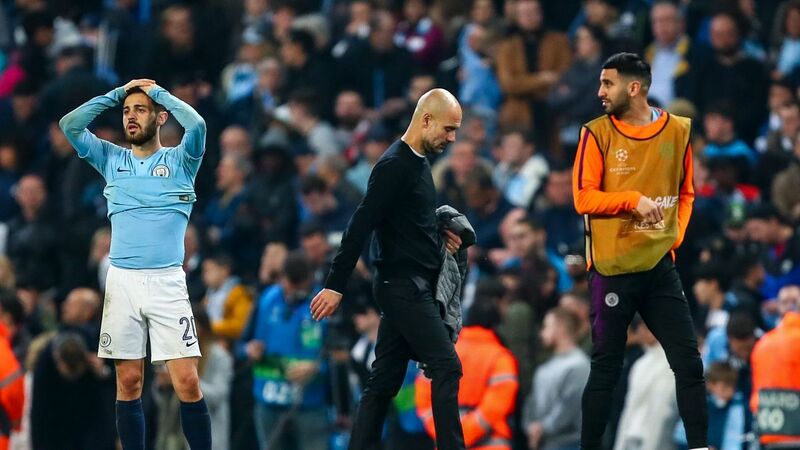 The former England boss picked an attacking lineup and said his side needed to take their chances if they were to live with a team like Guardiola's. "Manchester City are a top quality team, you have to admire a team that especially in the first half were too good for you," he said. "As much as the lads tried it was something we couldn't cope with. "The real turning point was when we should've scored with Bolasie, gone 1-1, and then they scored. It was very difficult when they scored, I thought Silva was offside for one of the goals but what can you do. "We fought, battled, scored and tried to go until the very end. All their 11 are fantastic in that system and that's why they are so far ahead."